The release offered a rare glimpse of national-security wiretap files and raised echoes of a fight in February over the Russia inquiry between Republicans and Democrats on the House Intelligence Committee. WASHINGTON — The Trump administration disclosed Saturday a previously top-secret set of documents related to the wiretapping of Carter Page, the onetime Trump campaign adviser who was at the center of highly contentious accusations by Republicans on the House Intelligence Committee that the FBI had abused its surveillance powers. Democrats in February rejected the Republican claims that law-enforcement officials had improperly obtained the wiretapping warrant, accusing them of putting out misinformation to defend President Donald Trump and sow doubts about the origin of the Russia investigation. But even as Republicans and Democrats issued dueling memos characterizing the materials underlying the surveillance of Page, the public had no access to the records. On Saturday evening, those materials — an October 2016 application to the Foreign Intelligence Surveillance Court to wiretap Page, along with several renewal applications — were released to The New York Times and other news organizations that had filed Freedom of Information Act lawsuits to obtain them. Trump had declassified their existence this year. 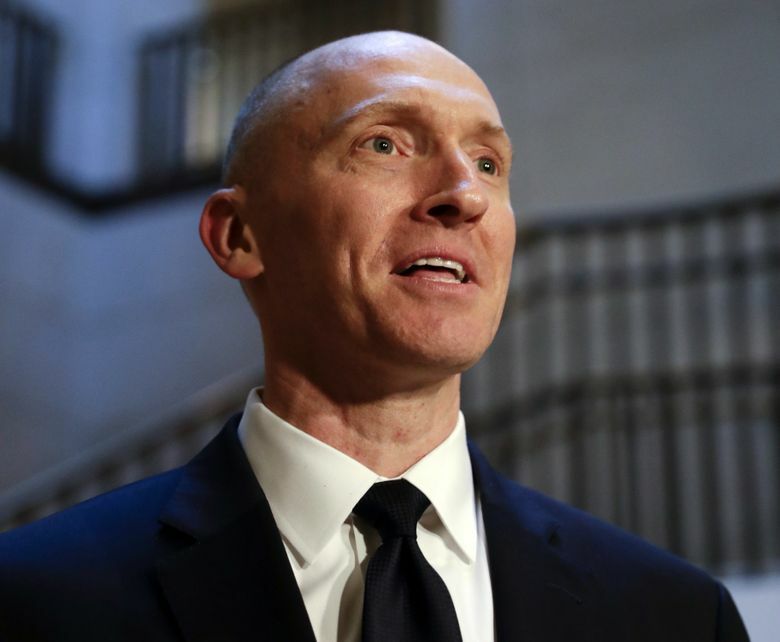 Page has denied being a Russian agent and has not been charged with a crime in the nearly two years since the initial wiretap application was filed. He did not immediately respond to a request for comment on Saturday. The documents made public Saturday were heavily redacted in places, and some of the substance of the applications had become public in February, via the Republican and Democratic Intelligence Committee memos. The fight over the surveillance of Page centered on the fact the FBI, in making the case to judges that he might be a Russian agent, had used some claims drawn from a notorious Democratic-funded dossier compiled by Christopher Steele, a former British intelligence agent. The application cited claims from the dossier that Page, while on a trip to Moscow in July 2016, had met with two senior Russian representatives and discussed such matters as lifting sanctions imposed on Russia for its intervention in Ukraine and a purported file of compromising information about Trump that the Russian government had. Page has denied those allegations. Republicans portrayed the Steele dossier — which also contained salacious claims about Trump apparently not included in the wiretap application — as dubious, and blasted the FBI for using material from it while not telling the court that the Democratic National Committee and the Hillary Clinton campaign had funded the research. But Democrats noted that the application also contained evidence against Page unrelated to the dossier, and an unredacted portion of the application discussed efforts by Russian agents in 2013 to recruit Americans as spies. It has previously been reported that Page was one of their targets, although any discussion of Page’s interactions with them is still censored. Democrats argued in February that the FBI had told the court the research’s sponsor had the political motive of wanting to discredit Trump’s campaign. They argued it was normal not to specifically name Americans and U.S. organizations in such materials. The released documents show that portion of the filings. The final two renewal applications contained two additional pages describing a letter Page sent to the Justice Department in February 2017 accusing the Clinton campaign of spreading false information about him. The unredacted portions of the original application and the three renewal applications are otherwise largely identical, so it is not visible whether the FBI told the court that it was gaining useful intelligence from the wiretap of Page as it asked for extensions. But the length of the applications grew significantly each time, indicating that new information was being added: They were 66 pages, 79 pages, 91 pages and 101 pages, respectively. The materials revealed which U.S. District Court judges signed off on the wiretapping of Page: Judges Rosemary Collyer, Michael Mosman, Anne C. Conway and Raymond J. Dearie. All were appointed by Republican presidents. As has been publicly known from the February congressional fight, the application also contained a description of a Yahoo News article from September 2016 that discussed the investigation into Page’s Russia ties. It is now known that Steele was a source for the article. Republicans at the time claimed the FBI had misleadingly used it as corroboration for Steele’s claims, while Democrats said that was false and that it was instead included to inform the court that Page had denied the allegations. Since February, even as Trump and his allies have continued to portray the Russia investigation as a “witch hunt,” it has produced indictments of two dozen Russians and Russian government officials for efforts to covertly manipulate American social media and for hacking and releasing Democratic emails during the campaign. Noting that the original application and its three renewals were approved by senior law-enforcement officials in two administrations and by federal judges, for example, Rep. Jerrold Nadler of New York, the top Democrat on the House Judiciary Committee, portrayed the threat from Russia the FBI was investigating as real and severe. While applications for criminal wiretap orders often become public, showing what the government’s basis was for seeking it, the government until now has refused to disclose FISA materials even when using evidence gathered through such wiretaps to prosecute people. But in February, Trump — over the objections of law-enforcement professionals — took the unprecedented step of lowering the walls of secrecy around such materials to enable House Intelligence Committee Republicans, led by Rep. Devin Nunes of California, to disclose their 3½-page memo, which sought to portray the surveillance of Page as scandalous. In addition to invoking Trump’s declassification to seek disclosure of the underlying materials by filing a Freedom of Information Act lawsuit against the Justice Department, The New York Times also petitioned the Foreign Intelligence Surveillance Court to unseal the materials itself. The court has not responded to that request.